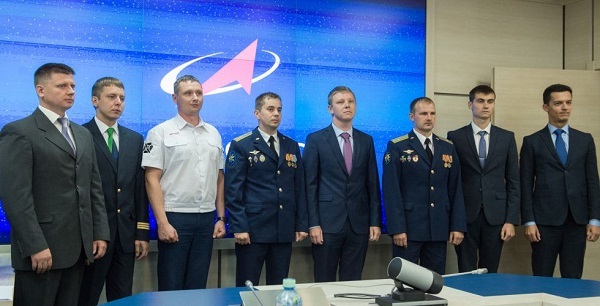 According to the announced data, eight people will start the general space training in the CPC, which will begin in September this year: Borisov Konstantin Sergeevich (born 1984), Gorbunov Alexander Vladimirovich (born 1990), Grebenkin Alexander Sergeevich (1982) Zubritsky Alexei Vitalievich (born 1992), Mikaev Sergey Nikolaevich (born 1986), Peskov Kirill Alexandrovich (born in 1990), Platonov Oleg Vladimirovich (born in 1986) and Prokopyev Evgeny Valerevich (born in 1986). After successfully passing the general space training and passing the exams, candidates for cosmonauts will be enlisted in the detachment of Roskosmos. The campaign to select cosmonauts began on March 14, 2017. Then MVK decided to hold a tender for the selection of candidates for cosmonauts of Roskosmos. The goal is to select the best specialists who, having the skills of working with space and / or aircraft, will work on the program of the International Space Station (ISS), will be trained in piloting a new Russian spacecraft Federation, and possibly become the first Russians , which will fly to the moon. According to the terms of the competition, six to eight candidates were selected. At the selection they had to go through several stages. First, candidates were tested for their eligibility for education and professional suitability, and the applicants had a body of knowledge necessary for the successful completion of training programs for cosmonauts. Then a complex of medical examinations followed, which became the next stage of selection. Also, a necessary condition for victory in the contest was the passage of a set of events assessing the psychological qualities of applicants and physical training. the age of applicants should not exceed 35 years. Applicants must have higher education in engineering, scientific or flight specialties and have work experience. Experience in the aviation and rocket and space industry of the Russian Federation is welcomed. An important factor in the selection is the availability of abilities to study space technology. The applicant should demonstrate the ability to understand the basics and principles of building technical systems, understanding their physical nature, the ability to memorize technical information, terminology and technical characteristics. Of course, everyone needs to have knowledge of interaction with computer technology, and also to know a foreign language (English) as part of the requirements of non-linguistic institutions of the Russian Federation. Congrats to the Ruskies. Looks like they are copying NASA.